Photo by Alex Meyer Tim Birch, Wheeling’s assistant operations supervisor, middle, speaks to members of the Wheeling Traffic Commission on Wednesday afternoon at the body’s meeting. The city’s Traffic Commission approved changing a downtown alley’s one-way designation and other traffic requests at its meeting Wednesday. The body considered four requests for handicapped parking in front of residents’ homes and two requests for no-parking designations. The commission unanimously voted to approve a request to change a section of the downtown alley Lane C, north of 11th Street, from a one-way to two-way road. Dean Conners, owner of the adjacent 1035 Chapline St., made the request and argued that the one-way designation hinders parking near his building and isn’t necessary. 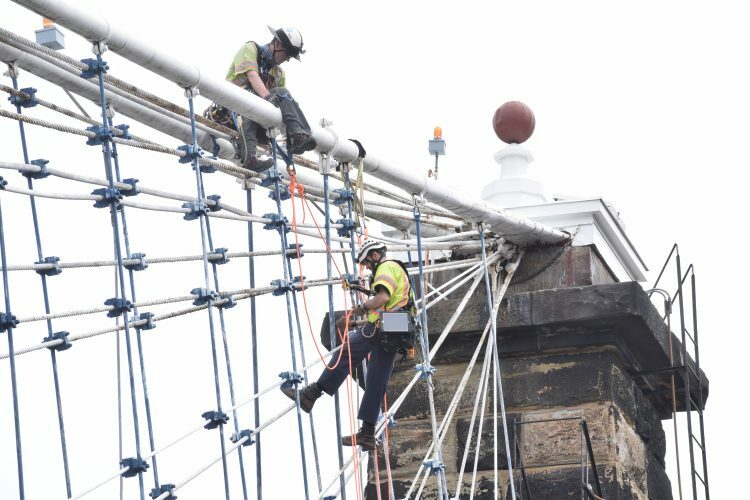 The alley used to see heavy traffic about 30 years ago, but the city never switched the alley to a two-way designation on the books once traffic declined, said Tim Birch, Wheeling’s assistant operations supervisor. 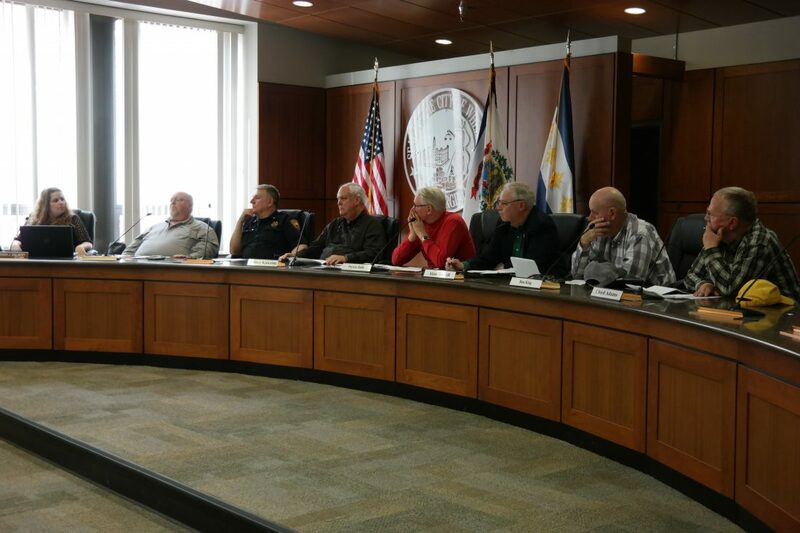 In other traffic changes, the commission approved a motion to add stop signs at an intersection of two alleys in South Wheeling, Lane D and Lane 23, where a collision between two cars occurred recently. The commission voted to approve adding a no parking sign near the corner of Mil Acres Drive and Cedarview Drive. Nearby resident Theresa Russell said vehicles making a turn at the intersection are prone to hit cars parked on the side of the street. The body also considered a request for more no-parking signs on part of Garland Avenue on the right side. Birch said the formal request wasn’t necessary and confirmed that the city will add more signs. In addition, the commission approved a request to add a blue line for handicapped parking in front of 140 Key Ave. 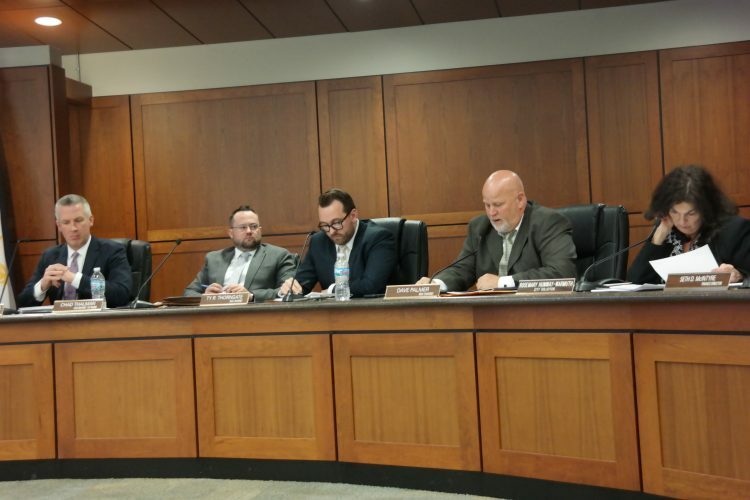 Normally, the commission would require approval from neighboring homeowners, but the property across the street isn’t residential, Commissioner Patrick Duffy said. For a handicapped parking request in front of 157 N. 20th St., the body approved a yellow no parking line rather than a blue handicapped parking line. Commission members further moved to deny requests for handicapped parking on 146 Miller St. and 11 Pearl Ave.
All of the commission’s decisions must be approved by council before they can go into effect. The body’s next meeting is set for May 9 at 2 p.m. in City Council’s chambers in the City-County Building, 1500 Chapline St.